CALGARY, Alta. 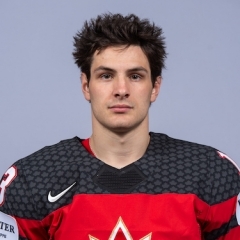 – Hockey Canada confirmed its initial 2018 IIHF World Championship roster. The first 18 players named to compete with Team Canada May 4-20 in Copenhagen and Herning, Denmark, include six players who were part of at least one of the last three medal-winning teams. The player selections were made by the management group for the 2018 IIHF World Championship – co-general managers Sean Burke (Windsor, Ont./Montreal, NHL) and Martin Brodeur (Montreal/St. Louis, NHL), along with Scott Salmond (Creston, B.C. 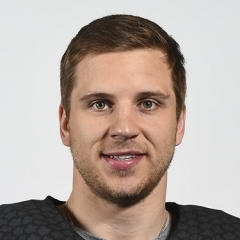 ), vice-president of hockey operations and national teams with Hockey Canada – in consultation with the coaching staff consisting of head coach Bill Peters (Three Hills, Alta./Carolina), associate coach Mike Yeo (North Bay, Ont./St. Louis), and assistant coach Bob Boughner (Windsor, Ont./Florida). 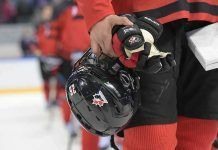 “It’s always very special to represent your country and wear the Maple Leaf, and as a management group, we feel very fortunate to be working with a talented group of coaches and a strong depth of player talent at this year’s worlds,” said Brodeur. 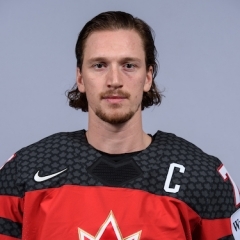 “We have a mix of youth, experience, and strong leadership qualities among these players as they have represented Canada on the international stage previously from the World Juniors up to last year’s championship. Their previous success and experience can only help us in our ultimate goal of bringing home a gold medal,” added Burke. Five of the players announced for this year’s team earned gold medals with Team Canada in either 2015 (Eberle, Ekblad, Schenn) or 2016 (McDavid, O’Reilly), while three skated to a silver medal in 2017 (O’Reilly, Parayko, Schenn). Canada opens the 2018 IIHF World Championship on Friday, May 4, against the United States in Herning, Denmark. 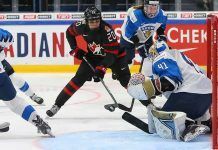 Preliminary-round games wrap up on May 15 and during that time, Canada will also face off against the host Danes, Finland, Germany, South Korea, Latvia, and Norway. The bronze- and gold-medal games will take place on Sunday, May 20.